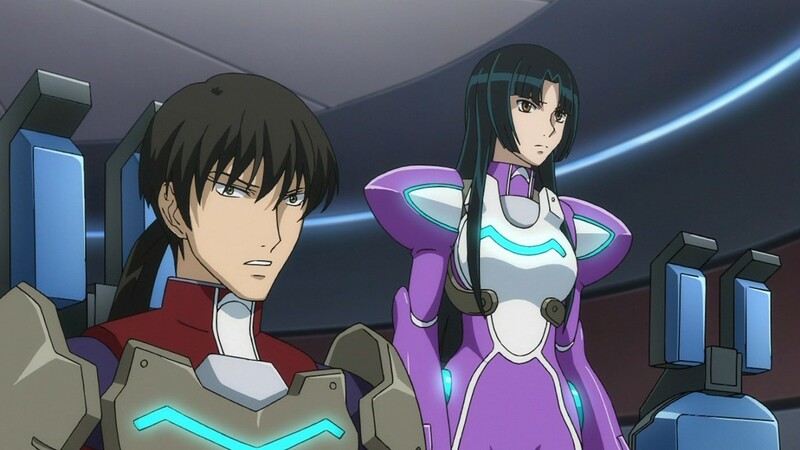 #5 - Wang Liu Mei (Gundam 00): Wang Liu Mei and her bodyguard/brother Hong Long are introduced early on in the first season of Gundam 00 with the implication that they will be important to the grander plot. They seem to be something of investors in the idea that Celestial Being can in fact succeed with their goal of eradicating war from the world. Which, admirable an ideal as it is, is in fact not the only deck Wang Liu Mei has her money bet on. As we find out in season two, she’s investing in the Innovators as well, presumably because she’s just that greedy and has a desire to come out of this conflict a winner. Except, apparently she didn’t make much of a plan for the event that she might not live to the end of the whole ordeal to actually see a return on her investments. Considering that Wang Liu Mei and her brother come from a rich and influential family line, one would assume they’d have put precautions in place in the event that things went belly-up. And when they do meet their untimely ends, it has zero impact on either Celestial Being or the Innovators. 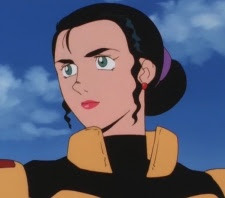 #4 - Lupe Cineau (Victory Gundam) – Lupe Cineau has a few appearances over the course of Victory Gundam, and is shown to be a capable fighter in close quarters as well as in the cockpit of one of the Zansacre Empire’s robot-riding-inside-of-a-giant-tire Gedlav mobile suits. Around the midway point of the series, she manages to capture Uso with the help of Katejina Loos. And how does Cineau opt to interrogate the League Militaire’s ace pilot? By stripping down and taking a bath with the teenage boy. Granted, she intends to torture him by dunking him under and nearly drowning him, but why bother having both of them naked? There’s some very strange sexual tension brought on by this, while Uso is both confused and opposed to the situation. While I understand Cineau’s desire to keep Uso alive in order to try and pry information from him, this seems like the most half-baked torture method she could have devised, and considering how much her men seem to be incredibly loyal and intimidated by her, one would think she might seek out a plan that better expressed her finesse and power during the decent chunks of time where she is absent. #3 - The other Zabi brother (Mobile Suit Gundam: The Origin) – The Zabi family served as the main antagonists in the original Mobile Suit Gundam, and helped fuel Char’s convictions and ideals as son of Zeon Zum Deikun. They are gradually taken out one by one as the Federation forces gain a foothold in colony space and Char goes about exacting his revenge upon those who twisted the vision of spacenoid independence his father had in mind. Garma, Gihren, Dozle, and Kycilia all carry out important roles in the One Year War, and go out in (generally) spectacular fashion. But there is one Zabi family member who never showed up in the original series. Cicero Zabi (otherwise known as Sasro) was a sibling of the other, more well-recognized Zabi children, but died before the One Year War even began. The cause of his death? Assassination at the hands of loyalists to the ideals of Zeon Zum Deikun, many of whom believed Deikun’s death was caused by Cicero’s father. 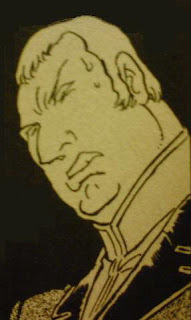 Apparently Cicero was so unmemorable (even to his own family members) that he was never mentioned again, only seeing a brief inclusion in the Mobile Suit Gundam: The Origin manga. #2 - Lord Djibril (SEED Destiny) – Opposite to Durandal, Lord Djibril is in charge of all the operations carried out by Logos. 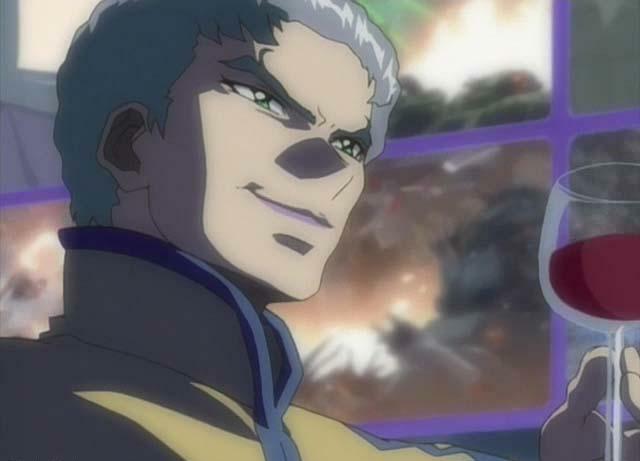 He appears to indulge in a rich and lavish lifestyle, owning a mansion and sipping red wines while watching over the mobile suit battles he helped to orchestrate from his high-tech bunker full of monitors. And… that’s basically it. Whereas Durandal is shown travelling from place to place, meeting with ZAFT’s mobile suit pilots, and helping to boost his own political image to gain support from the masses, Djibril just sits in his comfy chair for nearly the entirety of the series like Dr. Claw from Inspector Gadget until he is eventually killed. 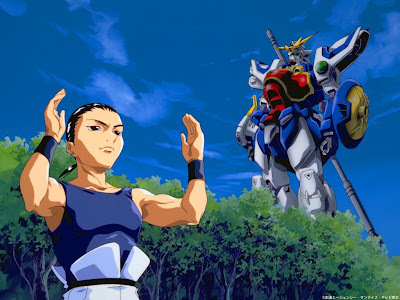 #1 - Wufei (Gundam Wing) – Only a handful of Gundam series over the years have dared try and divvy up the spotlight between multiple lead protagonists, and while some might roll their eyes at Gundam Wing’s reliance on five pretty boys to try and boost the show’s viewership, one of my biggest problems with it lies in the fact that not all of the lead pilots see equal screen time. Wufei receives the least by far, and frankly I wonder if the writers had much of a story in mind for him due to how uninvolved he is for the vast majority of the anime. Sure, Heero and Duo receive lots of screen time early on, and Quatre sees a decent degree of character exploration. But Trowa probably received the second least screen time behind Wufei, and he managed to temporarily lose his memory, join the circus, and team up with Heero to infiltrate the ranks of Oz. Wufei, on the other hand, spent his days meditating with Shenlong by a waterfall, and had one sword fight with Treize before receiving one of the antagonist’s many famous monologues, leading Wufei to yell in frustration. He does show up conveniently at the end of the series and plays a notably more important role in Endless Waltz. But really, if you’re going to write in five characters to share the lead role, you ought to have a game plan in mind for all of them and not forget one until the series is practically over.